Not everyone eats to live; there are many who live to eat. They want to know what is going into their tummies, if it appeals to their taste buds, why they should eat it, and so on. So if you want these people to buy what you are selling, you have to give them a good reason. Everyone has their own reasons for choosing specific food products. Whether you are offering healthy snacks or a gourmet frozen entrée, you have to make sure your digital food marketing strategy focuses on various factors such as taste, convenience, health, and sustainability. Here is a list of 12 things you can do to make sure you have an effective digital marketing strategy for your food business. Free Bonus Download: Use this checklist to make sure you’re doing everything you can to get more conversions! Click here to download it for free right now! Blogging is the best way to make sure your food business gets some online visibility. Adding a blog page to your website and publishing posts on a regular basis helps you show up on the search engine results pages (SERPs) and drive traffic to your website. Having a blog for your business is the best way to convert strangers into visitors and visitors into customers. In fact, this is why you should focus on creating top-of-funnel (ToFu) content. For instance, you could make a list of vitamins and minerals that are included in your food product and write blog posts about how these vitamins and minerals can improve health. Or you can choose one of the main ingredients of your food product and write about its health benefits. You could also write a fun post with simple recipes that include your food items. You are not actually marketing your food product here. You are only creating interest in your target audience to visit your blog and read your content. Your focus has to be on creating awareness. 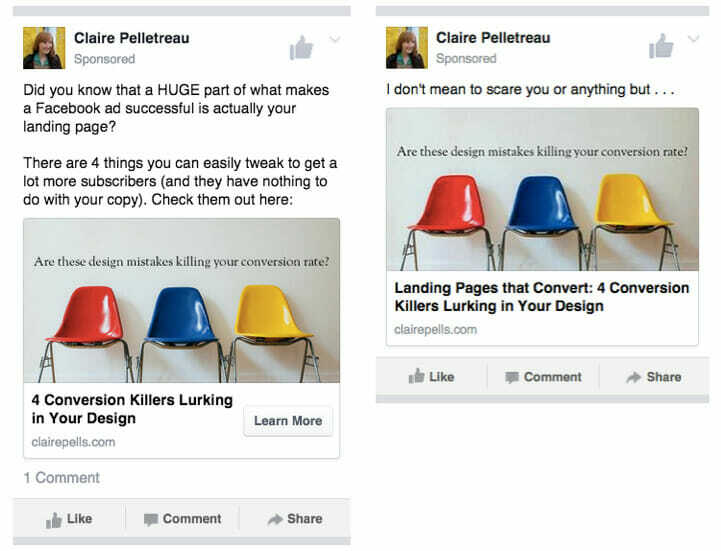 You’ve probably already figured out how to boost your posts on Facebook. But did you know you can run ads to promote your blog posts? Yes, you may have to spend some money on advertising, but it is definitely worth it, considering the kind of audience you can reach, the amount of buzz you can build for your next food product launch, the leads you can generate, and the number of people you can move through your sales funnel. Log on to your Facebook Page and open up the Facebook Ad Manager. Now click on “Create Ad”. You should see different ad campaign goals. Although you may want to ultimately convert your visitors into your customers, your goal here should be to drive traffic to your website. So choose “Traffic”. Give a name to your campaign and proceed towards setting your budget and targeting options. Choose a small daily budget to start with (you can increase the budget later on depending upon the performance of your ad). Set your targeting options depending upon whom you want to target your food product to. Write your ad copy, and remember to focus on giving prospects a reason to read your blog post. Select a featured image that relates to your blog post and captures your audience’s attention instantly. Include a Call-To-Action (CTA) to make sure your target readers click to read your blog post. 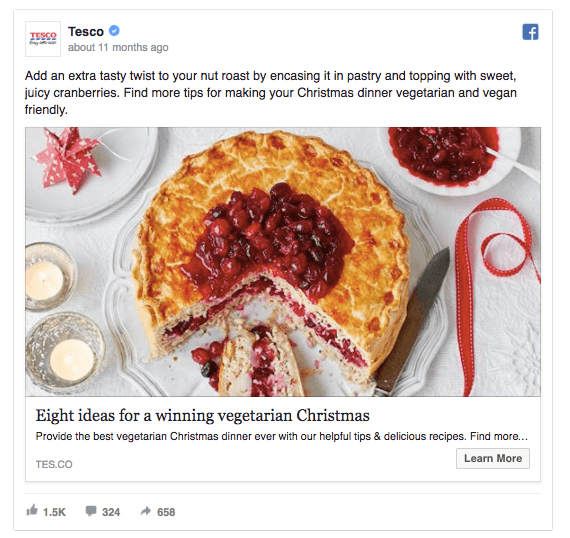 One of the most successful techniques of digital marketing for food products is to get in touch with food bloggers and ask them to promote your food products. There are a number of food bloggers who have already established an excellent rapport with the audience that you want to target. These bloggers also know what it takes to get to the top of the SERPs. A few kind words from them about your product on the right blog can do wonders for your business. Check out the blogs of a bunch of food bloggers and choose a few that seem relevant to your product. Make sure the readers of those blogs are the audience that you are trying to target. Select the bloggers who do reviews. Start by writing a personalized email to the blogger. Take time to introduce yourself. Be helpful and respectful to the blogger and offer some publicity. Be unique in your approach and see what you can do to get the blogger’s attention. 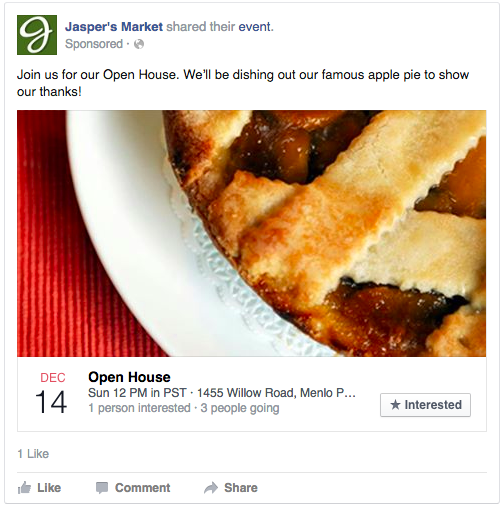 The best way to build your social presence, boost your traffic, and gain high-quality leads for your food business is to host an event and promote it on Facebook. Making sure the content of your ad matches the expectations of the people who click on them. Including a discount, offer or enticing value proposition that will make people want to click on the ad. 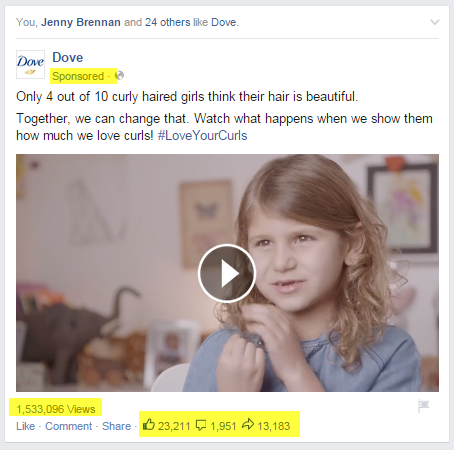 One of the most popular ways to increase your likes and shares on Facebook is to run a Facebook contest. 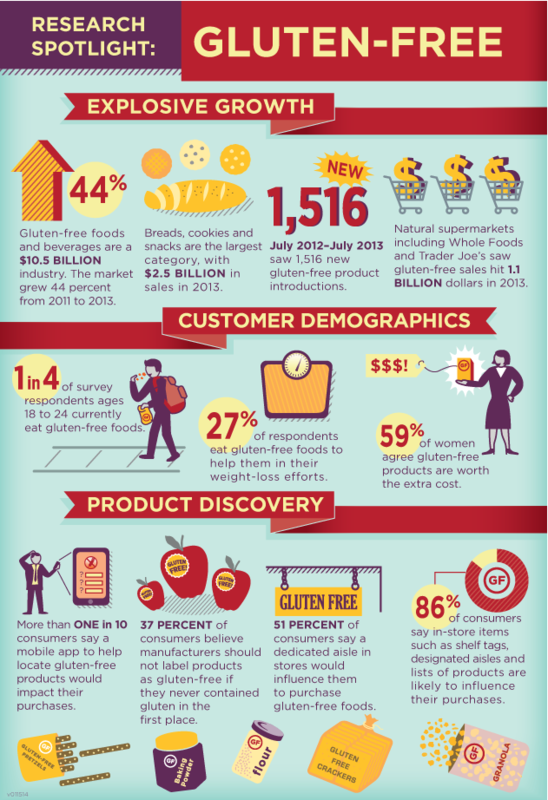 This is a great digital marketing strategy for the food industry. A suggestion for a fun Facebook contest that will keep your customers engaged is to ask them to take pictures of themselves when they visit one of your locations or purchase one of your products and then post them on their Facebook pages using a certain hashtag that you give them. Not only does this create a personal testimonial for your business, it will also increase your sales. If you don’t have many followers on your Facebook page, here is a better contest idea for you to use. You can post a high-quality picture of one of your best food products and ask your audience to tell you why they love it. Offer the product to the one who gives you the best answer. 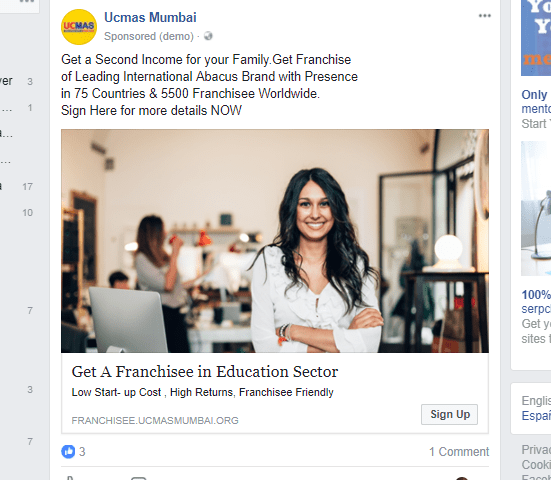 If you are open to offering franchise opportunities, running Facebook ads for distributorship could be a great way to market your products. Not only will you be creating awareness about your brand and products, you will also be getting a lot of offers from prospective partners who are willing to distribute your products. 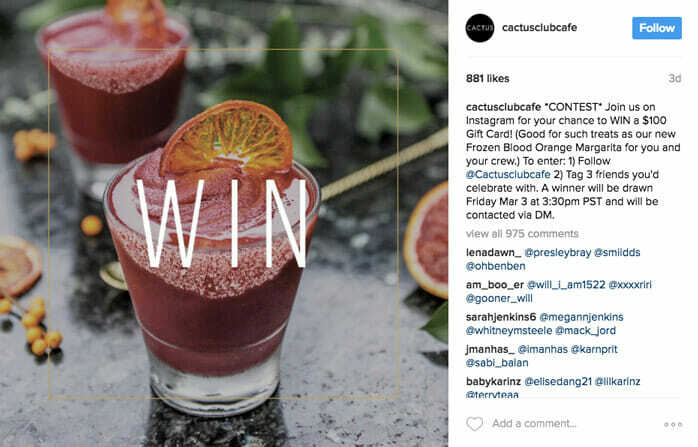 There is nothing as powerful as a visual story on Instagram when it comes to digital marketing strategies for the food industry. Daily Harvest is one of the brands that used this technique to create awareness about its products. The frozen food giant used a series of tantalizing images to help its audience explore various possibilities with frozen food. By using a strategic headline in its stories, Daily Harvest clearly emphasized the value that it offers through its service. Although the text part in the stories is very brief, it is very easy to read and understand. CPK Frozen Pizza is another food brand that used Instagram to promote its products. Using Boomerang, a feature of Instagram, the frozen pizza brand transformed an ordinary cheese grating process into something memorable for its audience. Since Instagram doesn’t support GIFs, Boomerang could be your best alternative, especially if you want to appeal to the millennial and younger generations. Connect your Instagram account to your Facebook account (if you haven’t already done so). 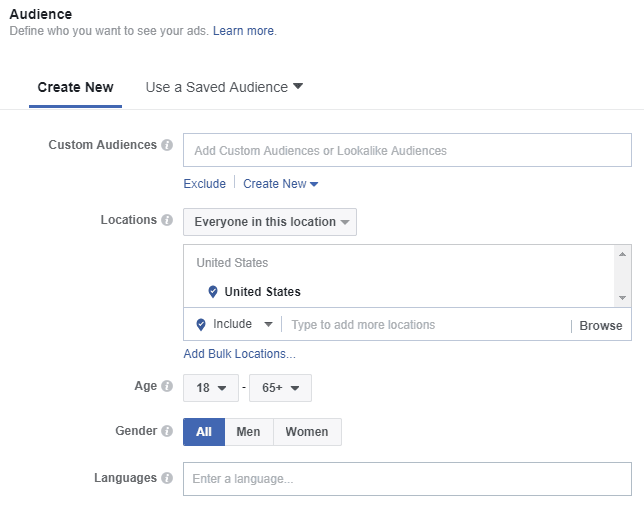 Open up the Facebook Ads Manager and click ‘Create an Ad’ under a new campaign. Now select your objective and set your parameters. Give your campaign a name. Now go to ‘Edit Placements’ and select Instagram Stories. Here you have the option to upload a single image or a single video. Once you upload your image or video file, you can click on preview to see if the specs are okay. Select a CTA based on your goal and click on ‘Publish’. Working with food influencers is one of the best strategies of digital marketing for a food business. Instagrammers love to share their photos and document their daily lives. When they see a food influencer doing the same, they will want to follow. For instance, if you get a food influencer to take a photo of himself sipping a cup of coffee or trying out a dish at your restaurant and upload it to his Instagram account, you will soon have an entire crowd of people wanting to take a picture at the exact same location, having the same food item. You can use a combination of any of the above approaches or come up with something totally different to highlight your influencer collaboration on Instagram. Measure your results and find out what works best. Many brands in the food industry pull out special festival offers and seasonal deals to promote their products. 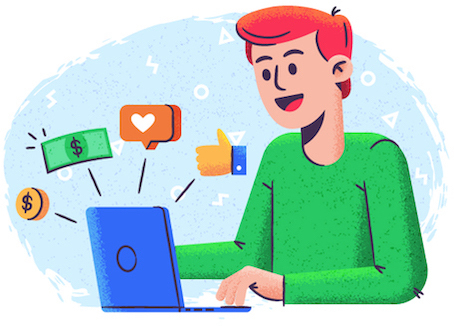 Sharing coupons through Facebook offer claim ads is one of the best ways of promoting your products to your target audience. Cadbury made its customers’ holidays better through this giveaway. 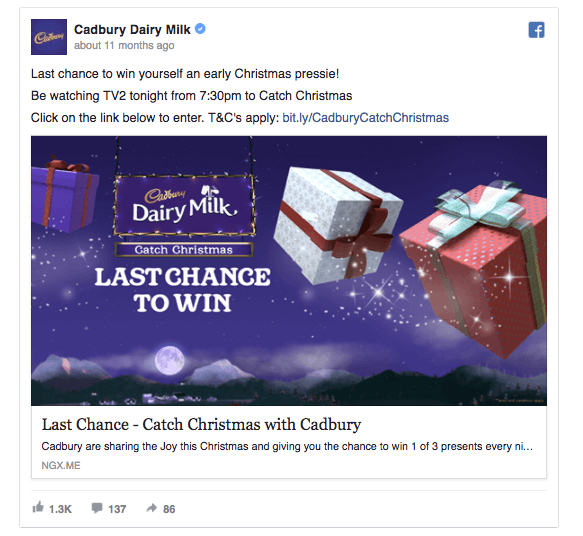 Whether people win prizes or not, they are sure to buy Cadbury chocolates for Christmas. By adding a few holiday elements to their ad image, they gave their ad a very ‘Christmassy’ and wintery feel to it. 83% of businesses feel that video marketing boosts their ROI. You can increase your conversions by 80% by adding a product video or a customer review video on your landing page. 57% consumers feel that video improves their confidence levels when making online purchases. Having a video embedded on your website makes you 53x more likely to show up on Google. Open the Ads Account Manager and select Campaigns on the left-hand column. Now select ‘New Campaign’ by clicking on the ‘+’ sign icon inside the blue circle. Select Video option in the campaign type screen. Choose a goal for your campaign, which is optional. Uncheck the box that you see next to Video Partners on Display Network. This will make sure your ads will not appear on websites that seem irrelevant. Narrow your audience by changing the language, location and device settings. You can also limit the number of times an individual may see your ad through frequency capping. 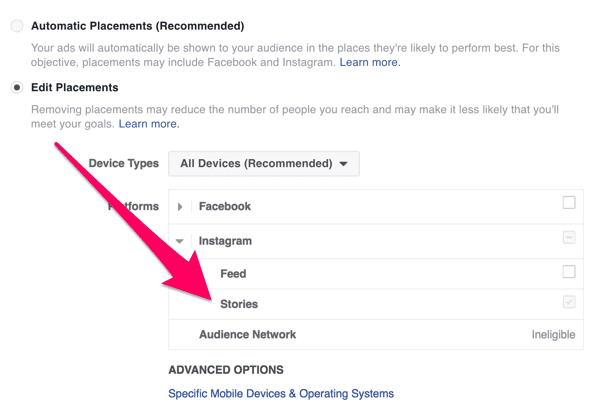 On the Facebook Ads Manager, set your marketing objective as “Video Views”. Select the settings for your audience, budget, and ad placements. Upload or Select your video. If there is an existing video that you want to boost, all you need to do is click on the “Boost Post” button that you see on your video post. All you get is a maximum of 8 seconds to create a meaningful impact on today’s impatient audience. Within that time you need to catch their eye, convey the message that you want to say, and lure them to take the desired action. One great way to do this is with an infographic, which is a combination of content, data and graphic design. Infographics have the power to convert even a dry piece of information into a captivating visual. It makes information easy to understand and lets you convey your message in a concise yet clear manner. What’s more – infographics are immensely sharable on social media. 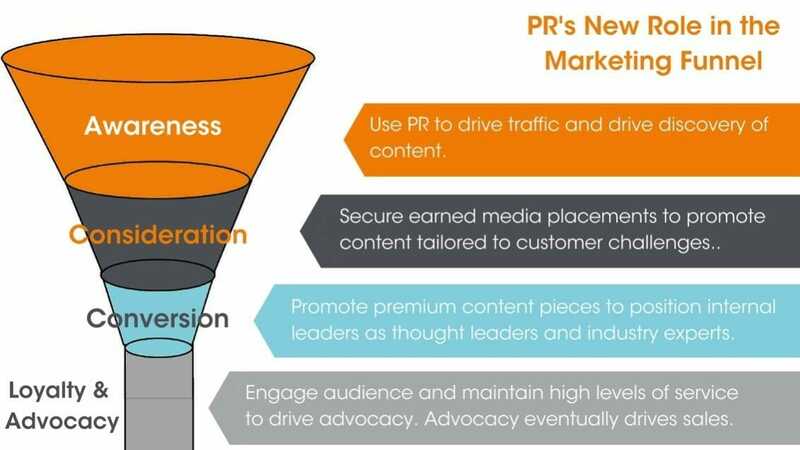 A press release is one of the best ways to get others to talk about your new product launch, latest achievements or any new developments in your company in an informed manner. They can help you get premium distribution through high-authority websites. This is an inexpensive way of creating awareness about your business in a genuine way. Apart from establishing credibility for your food business, a press release can also help you create a positive impact not just on your target audience but also on the food industry in general. You can optimize your press release by including keywords in it. Press releases are a natural way of building backlinks from external sources that are high-authority sites. By increasing your referral traffic, this will also make sure you get some real users checking out your website. Find some good press release submission sites here. There are two things you need to focus on when it comes to digital marketing for food products – customization and media-rich marketing. A few mouth-watering product shots on Instagram, a couple of video recipe tutorials on YouTube, some live cooking demos on Facebook, and an engaging story from one of your suppliers now and then should do the trick. Hiren Panchal co-founded Litmus with Kapil. With analytical mindfulness, he observes every creative with a conscious magnifier. Just as his doer attitude wins over his believer attitude, his thought leadership aims at creating leaders and not followers on his team. His creative insights have created brands worldwide and he has been commanding in the industry for +20 years.